Review based on production sample with firmware R1AA017, Generic UK. The Sony Ericsson X1 Xperia was announced at the Mobile World Congress in Barcelona in the beginning of 2008 and it would take 8 months before the X1 became available in stores. A model running on the Windows Mobile platform was not anticipated at the time of the announcement. We were waiting for a new model in the P-series running Symbian OS9 with the UIQ user interface. UIQ is now history. P5 running Symbian was never announced but Sony Ericsson never said they would shut down the P-series. In fact, the next Xperia model could be a P-model. The Xperia part of the Sony Ericsson X1i Xperia is the name of a series of phone models. We will probably see more Xperia models in the near future. Running Symbian , Windows Mobile or even Android now that Sony Ericsson has joined the Open Handset Alliance. Sony Ericsson X1 is available in two colour variants. Black and silver. It is a personal preference of course, but I think the sliver model has the most classic look. The price is a little over 700 EUR which is relatively costly. X1 is aimed at the business user, so the purchase price might be less important that the operating cost. The visual part of the hardware we saw first time in February have not changed much. 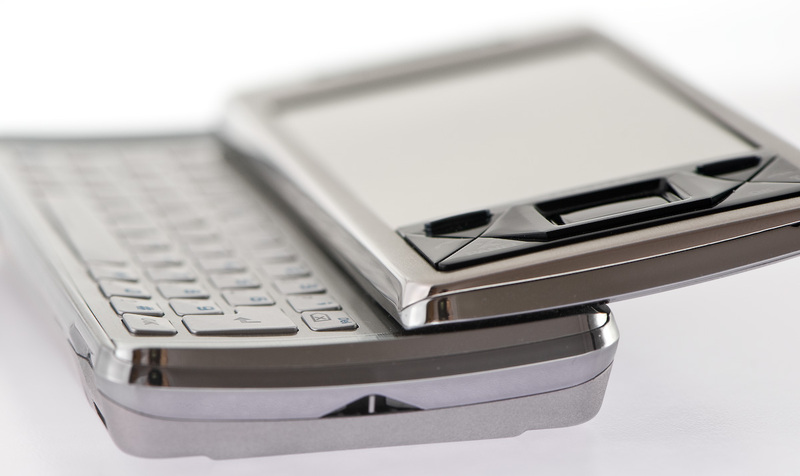 Sony Ericsson X1 is a slider model with a complete QUERTY keyboard. It has a touch display where both a finger and the included stylus can be used to enter text input and commands to the device. X1 also have a few essential keys located underneath the display. These are a couple of navigation and confirmation keys. The largest key in the center also works as a touch pad / optical joystick. So when you slide your finger over the centre button below the display, the active elements on screen moves in the same direction. If you have used a new laptop, you have seen this before as most built in pointers have the same behaviour. This is not as useful as I first thought it would be. I think the directional-pad is better for simple navigation. When using the touchpad, I tend to scroll too much. Many of the same functions can be achieved by "dragging" a finger across the touchscreen and I use this navigation method more often. 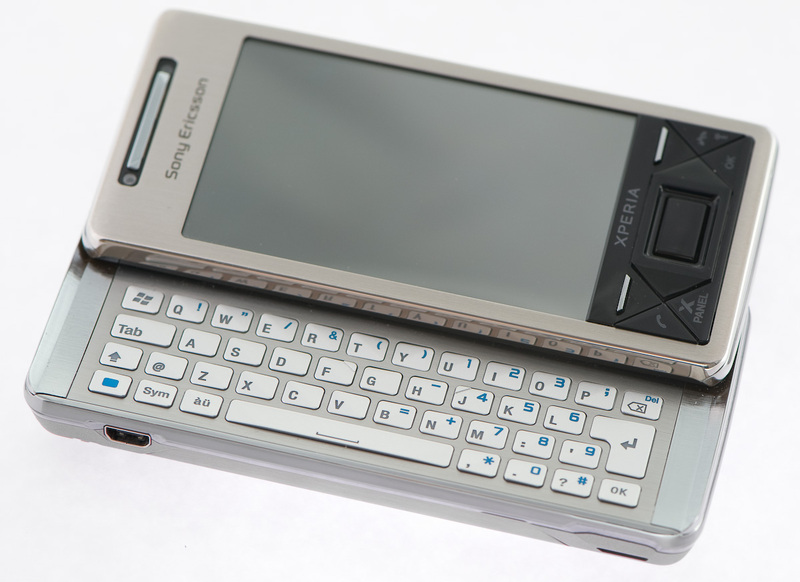 Sony Ericsson has received help from the mobile phone manufacture HTC with the design of the X1. It is unknown to me which part of the phone has a HTC stamp on it, but my guess is that most of it is hardware related. Nevertheless, you will find traces of HTC in the software too. Just take a look at the pre installed QuickGPS application. The about box shows that this application is copyrighted HTC and the help file says: "The Ephemeris data are stored on HTC servers. QuickGPS is preconfigured to connect to these servers". The X1 Task Manager and part of the 3G video call application are also made by HTC. But it is nothing wrong doing business with HTC. They sure have the knowledge how to make Windows Mobile devices. We also know Sony Ericsson have an agreement with Sagem with the production of entry-level GSM phones. To my knowledge, there are no official statement regarding the HTC-Sony Ericsson co-operation. Just the usual "No Comment" from HTC. X1 has a standard 3.5mm headphone jack for the headset connection. Other Sony Ericsson phones normally force you to use headset with a proprietary multifunction plug connecting the charger, headset and pc-to-phone communication. With the X1, we have the previous mentioned standard 3.5mm jack for sound in- and output, and a mini USB-port for connection with a computer and battery charging. The type of included ear plugs is my favourite, but if you perfer something else, the industry standard 3.5mm plug makes it easy to switch to another type of headset. Except the keys below the display, the external buttons on the X1 are the volume control-, power- and a camera buttons. The other input options are the QWERTY keyboard and the touch display. A dedicated panel button change the way the X1 is operated. More on this later. Most of the installed default Sony Ericsson panels are controlled in a combination of stylus usage and finger touch. The freely downloadable Spb Mobile Shell panel has very large display icons and will therefore let you control most but not all operations with just one finger. Some of the Windows Mobile 6.1 selection boxes are so small you will need the stylus for some of the tasks. The Opera browser with its large menu elements is one application where is it possible to navigate just fine using only one finger and with the Letter Recognizer as input method you should be able to type in a few characters as well even though the QWERTY keyboard is the preferred method of input. The QWERTY keyboard was during the first day a little difficult to get used to. The reason could be the that keys are quite shallow. They could have been more responsive as it is sometimes difficult to know if I have pushed one down. The logical finger to use when entering text are the two thumbs and even though I have relatively large fingers, I very seldom push a wrong key thanks to the large space between the keys. The QWERTY keyboard forces you to use two hands for input. It is possible but not practical to enter characters with one hand. Have this in mind if you are a frequent texter. X1 has backlight on all the keyboard buttons. By default, the display backlight is adjusted automatically by the OS. It is possible to explicit set the display light strength in the control panel but Auto should be fine for most users. When set to Auto, a sensor measure the surrounding light and will dim the display backlight in a dark environments and at the same time turns on the keyboard backlight. I usually do not have any problems with the automatically display light adjustment. It saves some battery power. It is gradual adjusted, and are in my opinion controlled nicely by the OS. The keys backlight on the other hand are either on or off, and it can be hard to see the keys in light environments where the backlight was on. I wish this could be operated a little easier by the user. After a couple of days usage, I got an issue with the battery cover. It would fall off without a good reason. I must have tried to attach it the wrong way sometime, because I found two springs bending the cover too much. The solution was to permanently bend these two springs back making them more relaxed. The battery cover has been stuck in place since then. Anyway. I think the fastening mechanism for the battery cover could have been created in a better way. Due to the powerful 1500mAh Lithium Polymer battery, performance is excellent. By combining usage of power hungry features like WLAN, Bluetooth, 3G, GPS and a large 800x480 display, the expected standby time is not long. But the X1 surprised me and I had no problem using it extensively for a day or two without the need for re-charging. Sony Ericsson prommises 500 hour standby time. I have not tested this because I did not have the time to let the X1 be unused for 20 days. These 500 hours must be best case where all extra battery drawing features are turned off. Sony Ericsson Xperia X1 has 400 MB internally memory according to the Sony Ericsson spec. The X1 Task Manager says otherwise. 200MB is available for programs and 281MB for storage. That summarizes up to 480MB. It is anyway sufficient for most users. The most memory hungry applications like Internet Explorer, Opera and Google Maps each use around 3MB so do the calculation yourself. The OS Windows Mobile and panel usage are not reported by Windows Task manager. In addition to the internal memory, the included microSD card adds more storage space. X1 does not have a accelerometer so to switch between landscape and portrait mode quickly, you will have to slide open or close the keyboard. It is possible to go into the Windows Mobile Screen configuration and change the orientation from there, but the setting is ignored if the keyboard is extracted or closed again. Some applications like the Opera browser can override this and let you quickly change display orientation from within the application. Changing display orientaion is one of the few things I wish could have been done differently. I want to have quick access to the display orientation without digging far into the control panel. Regardless of the current setting, the opening of the keyboard also wakes up the phone from sleep and so does the power button. It is also possible to have any key press to wake up the phone, but I found the combination power button/slide sufficient. Ericsson brought a very useful feature into the Sony Ericsson partnership. This was LED blinking when a call was missed. X1 has taken this further, and are offering 12 different type of LED blink for events such as Missed call, SMS received and Low battery warning. At the end of the hardware section, I have to mention the superior 800 x 480 pixels Wide-VGA touch screen. It is of TFT type, 3 inch and offers 65536 colors (16 bit). At times, the "extreme" resolution results in very small text and therefore not the best readability.